Black cats have long served as objects of superstition. 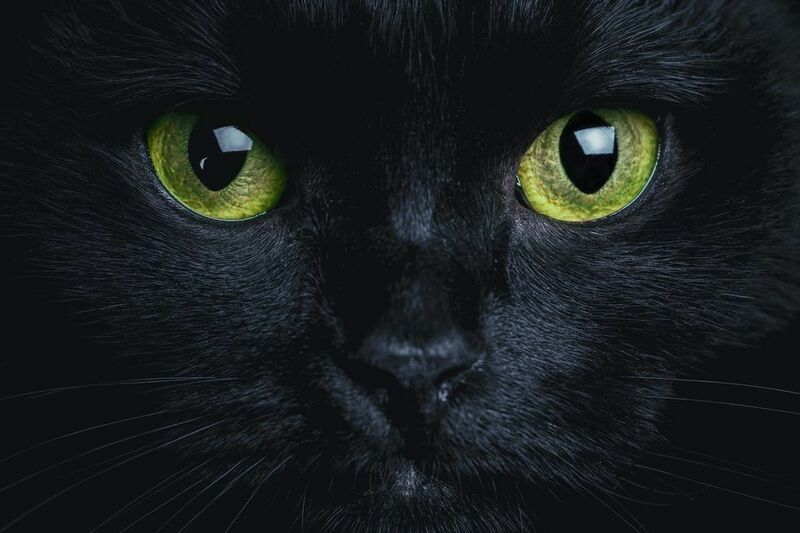 In Medieval France and Spain, black cats were considered bringers of bad luck and curses to any human they came near and were associated with witchcraft. Many Medieval Germans believed themselves to be cursed if a black cat crossed their path from left to right. So, how did black cats come to represent bad luck and spookiness in the United States? It all started with the Pilgrims in the Plymouth colony. The Puritan Pilgrims distrusted anything associated with witches and sorcery, including black cats. After the anti-witch zeal had subsided in the colonies, black cats had been thoroughly cemented in popular legend right alongside witches. Decorators use them as a Halloween symbol, both alongside witches and independently, to add a frightful, unnerving ambience to their front steps, their green eyes spooking trick-or-treaters.